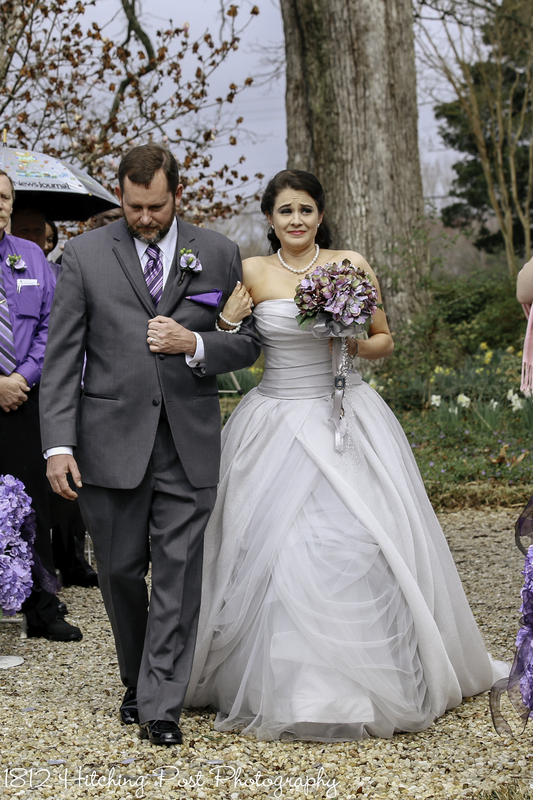 Even though the rain stopped and started several times, Tricia and Chad were still able to be married outside on the lawn. 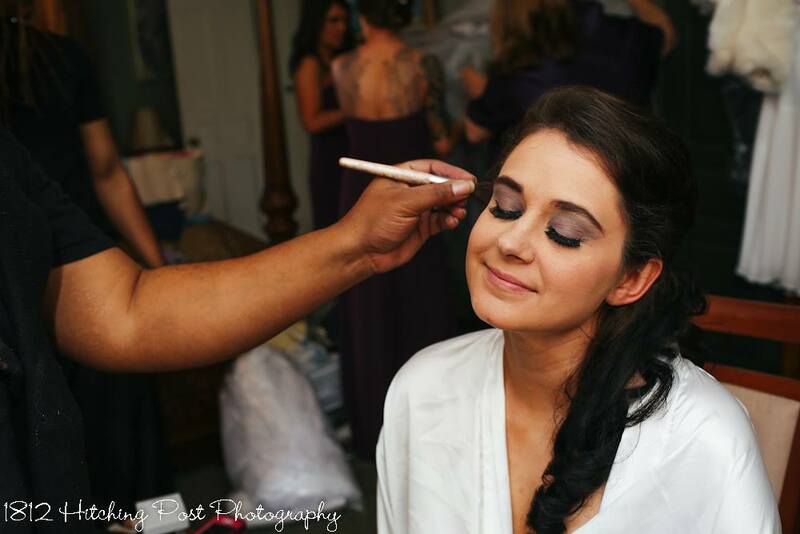 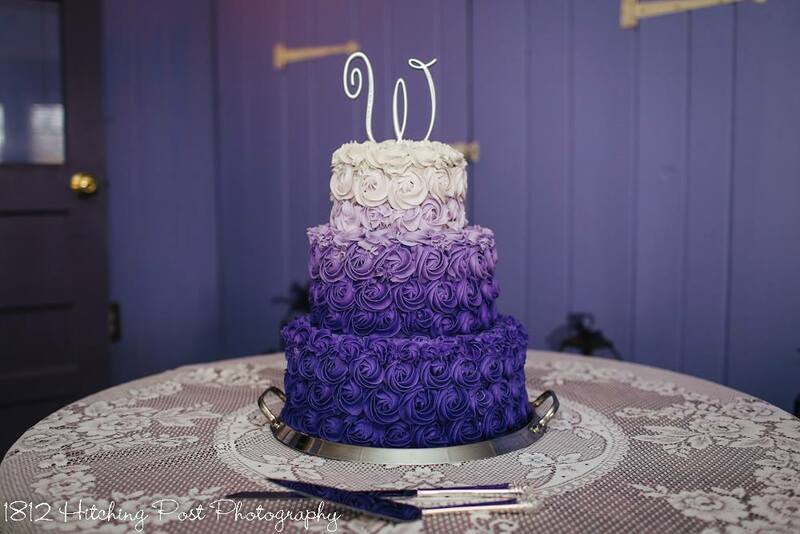 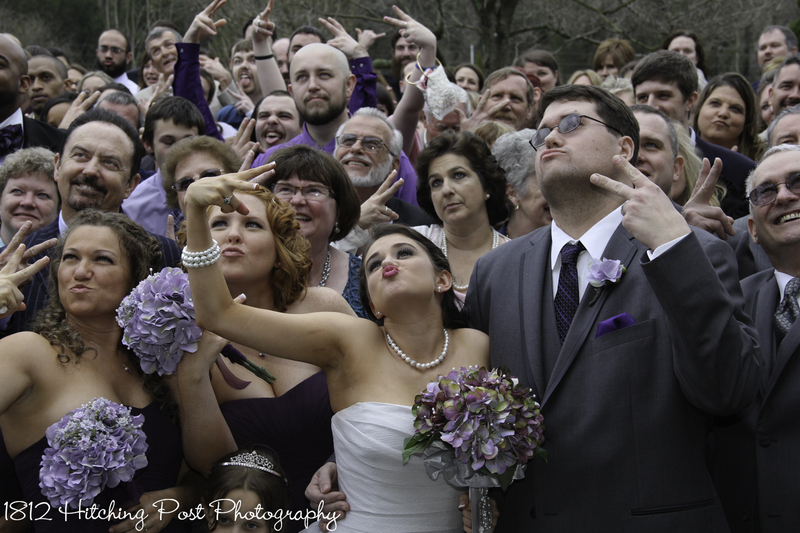 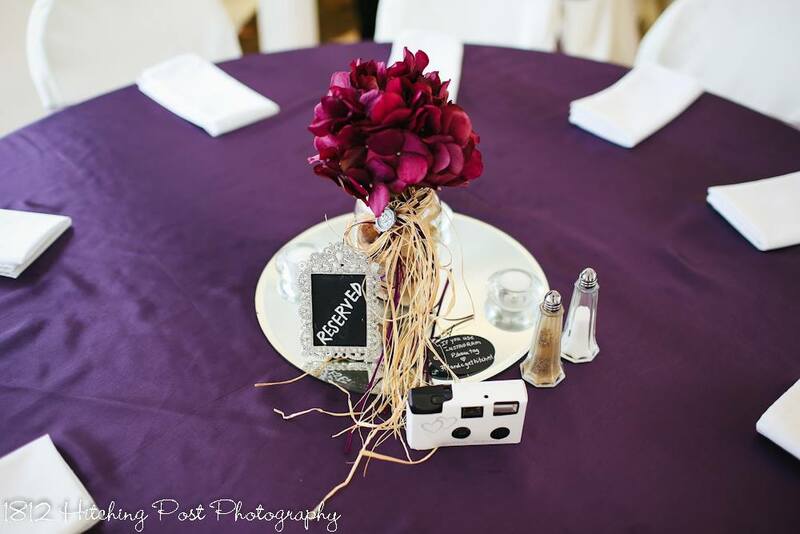 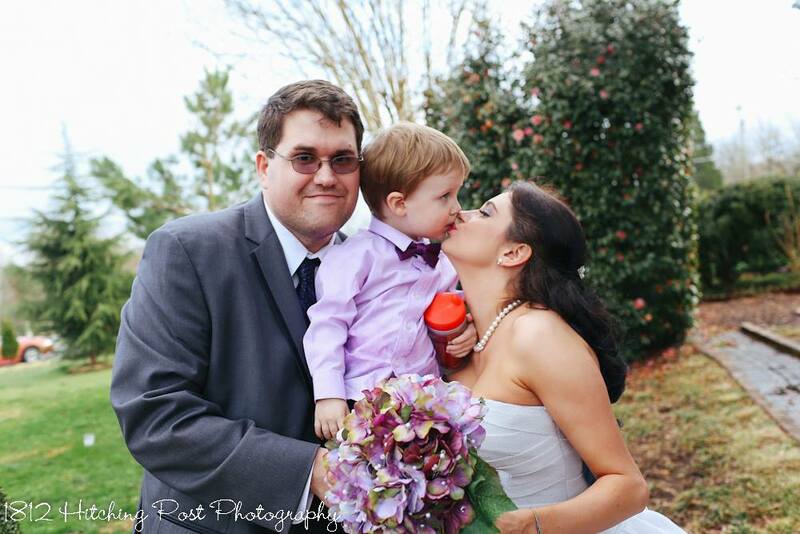 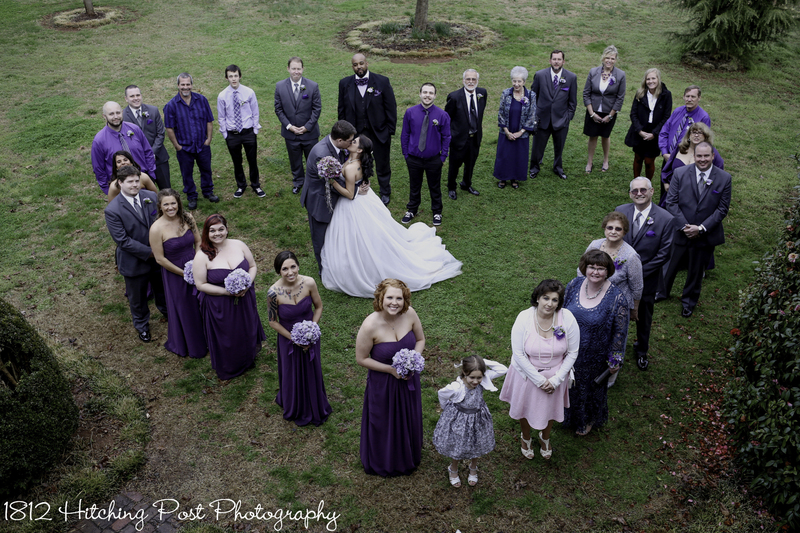 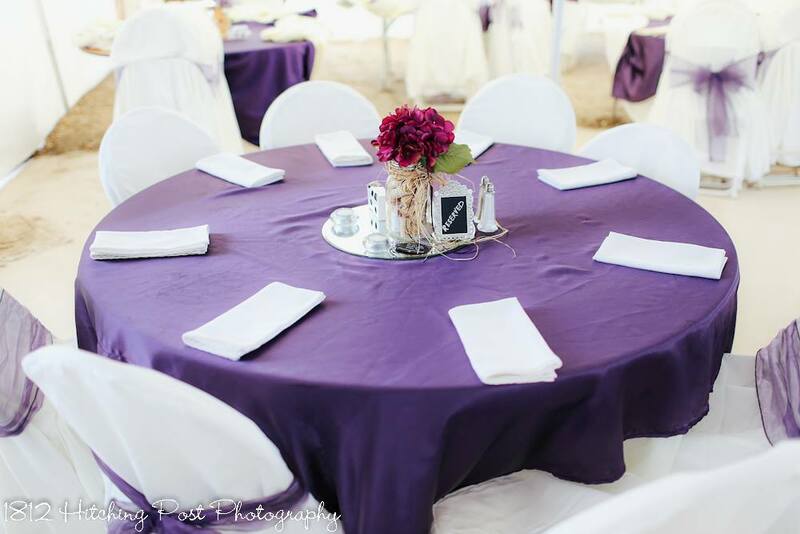 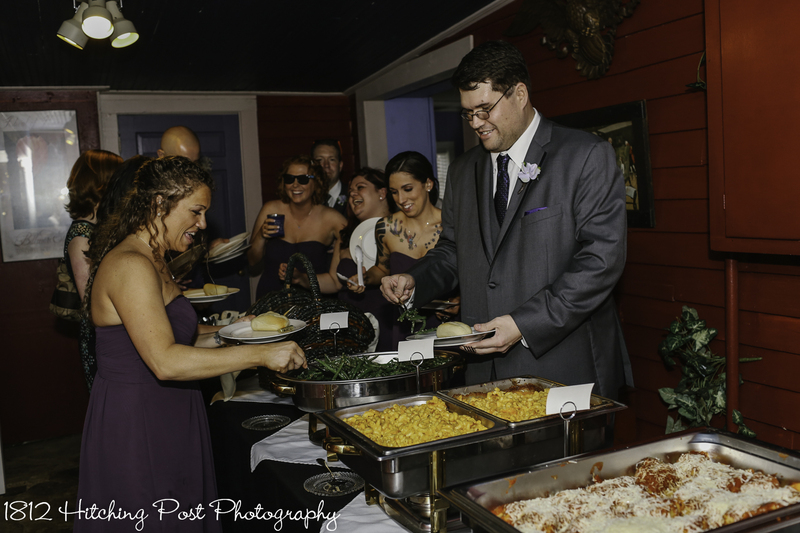 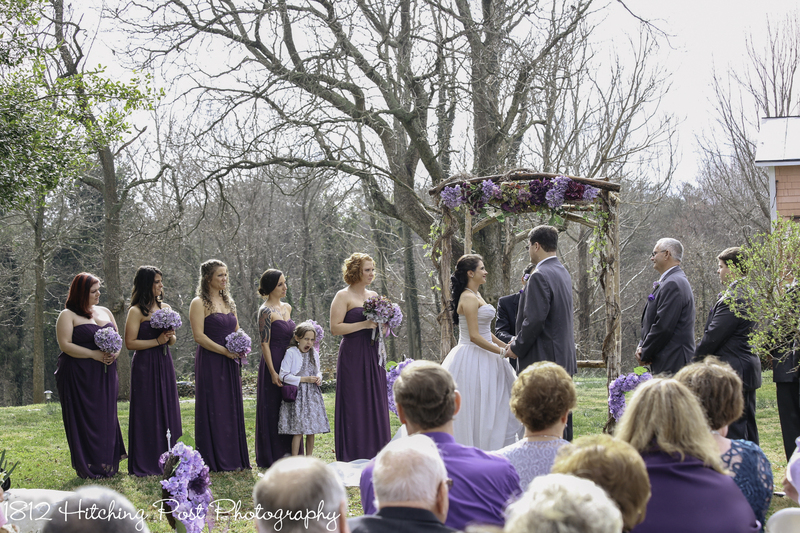 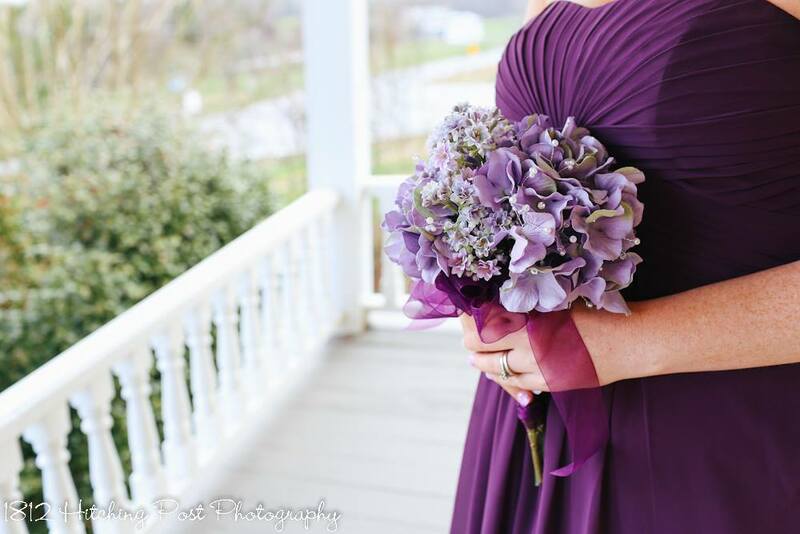 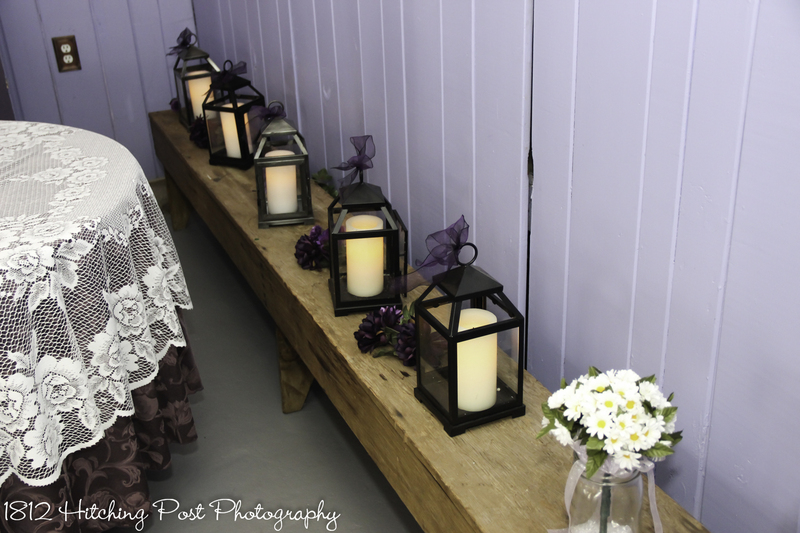 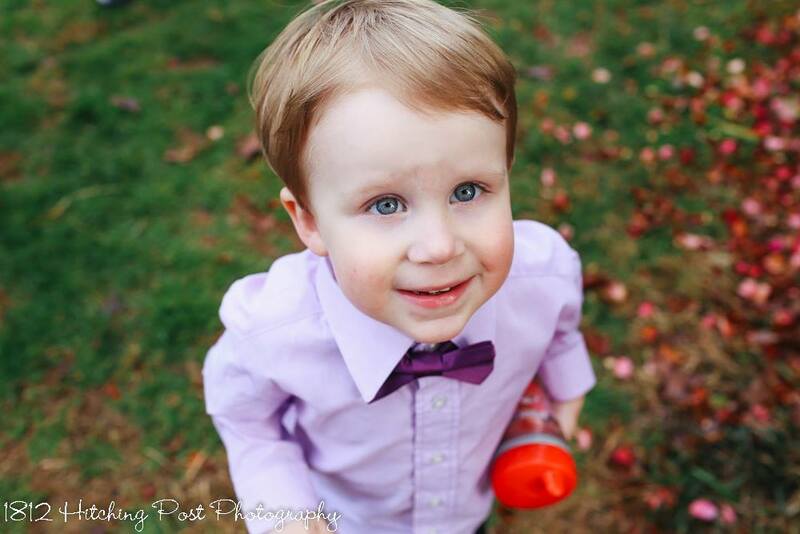 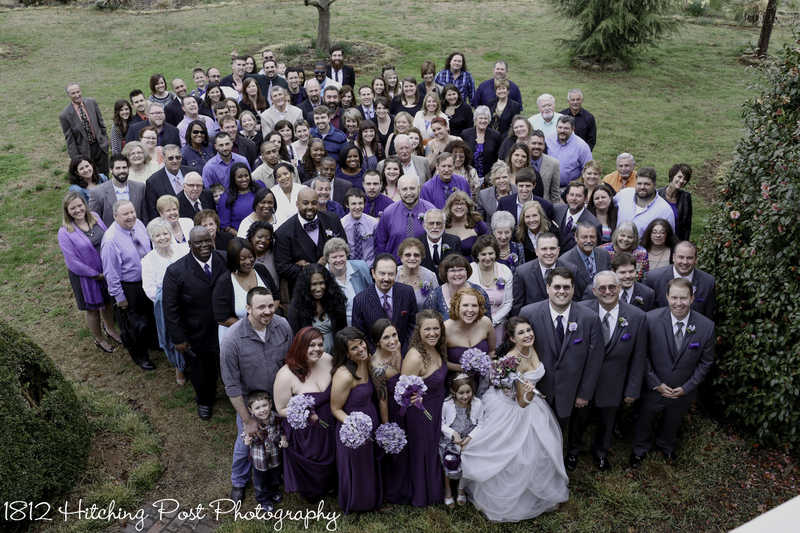 Tricia chose shades of purple for her wedding. 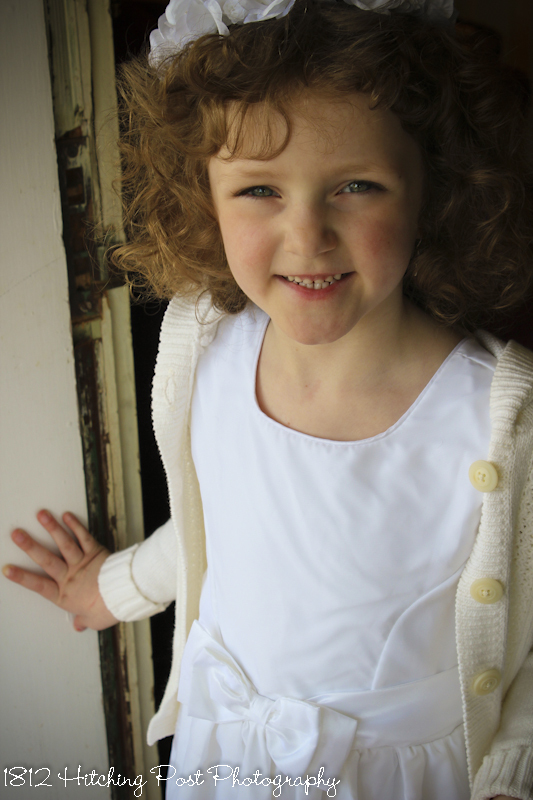 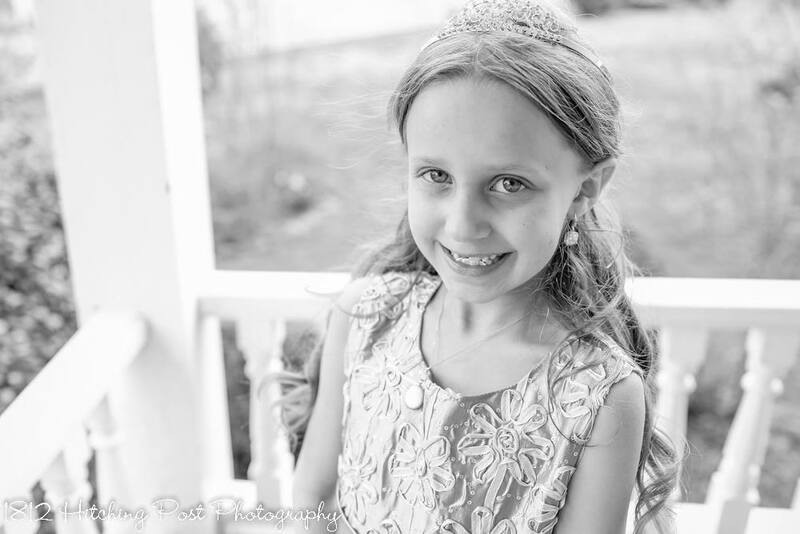 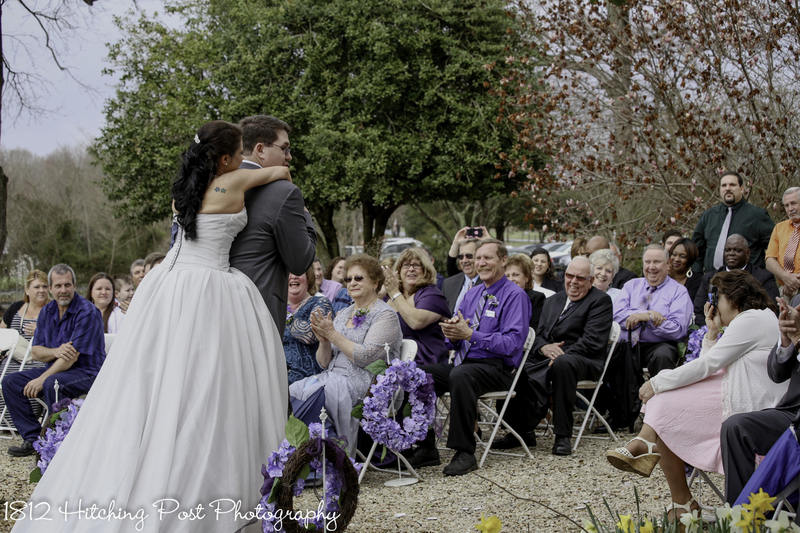 Her light gray dress had a memorial heart sewed onto the back of it. 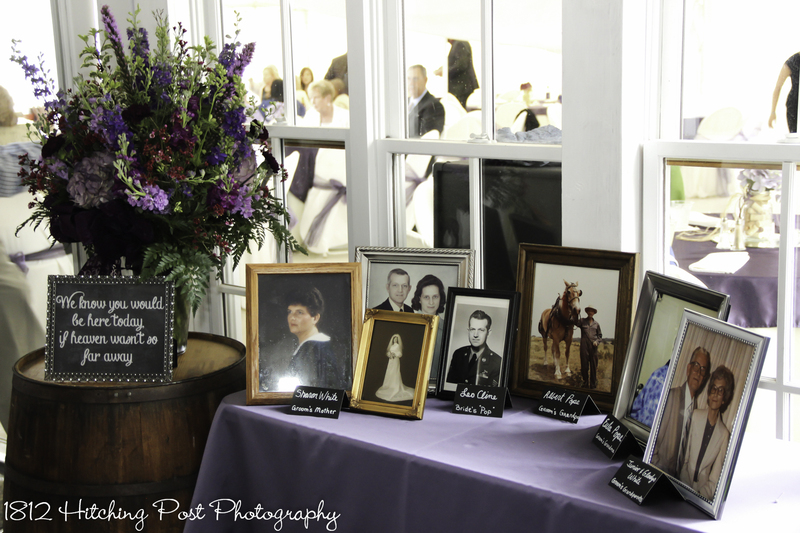 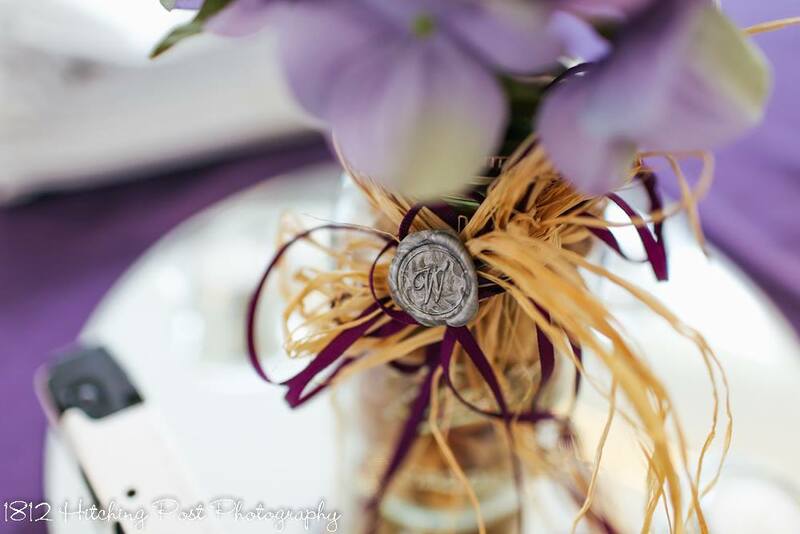 The bride provided the bouquets and centerpieces filled with wine corks and topped with silk hydrangeas. 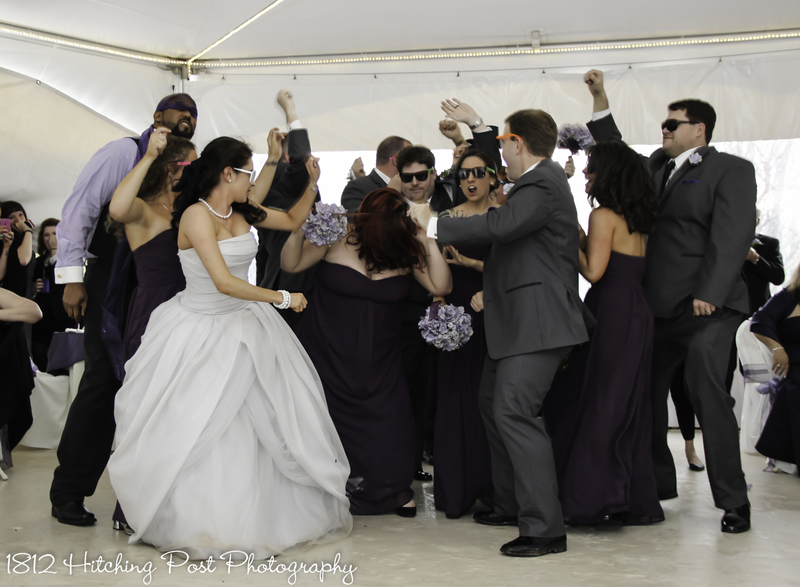 The groom carried the bride into the reception and the whole wedding party joined in for the first dance. 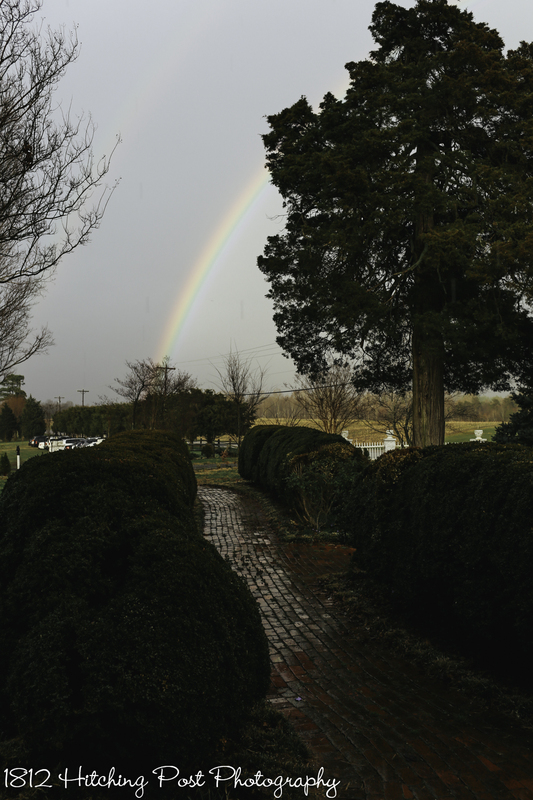 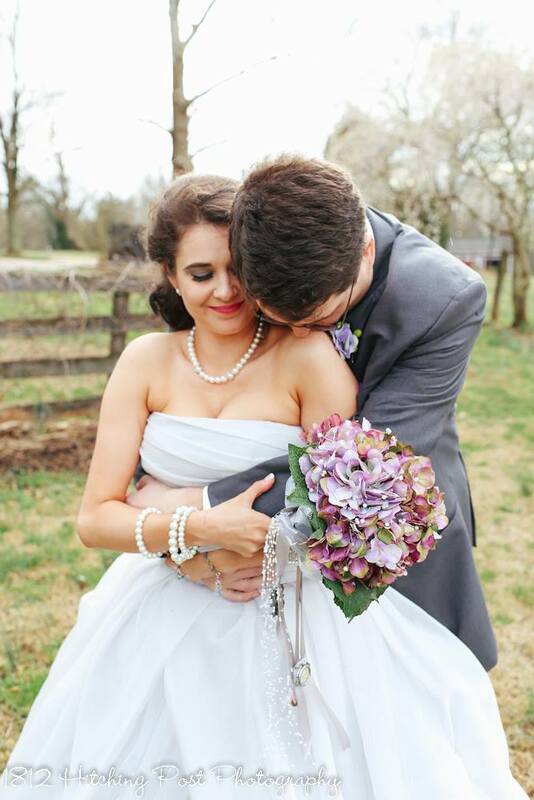 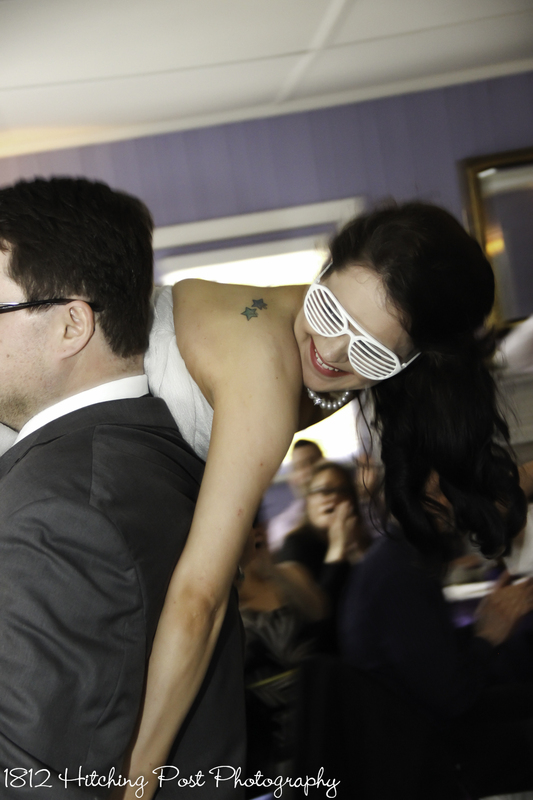 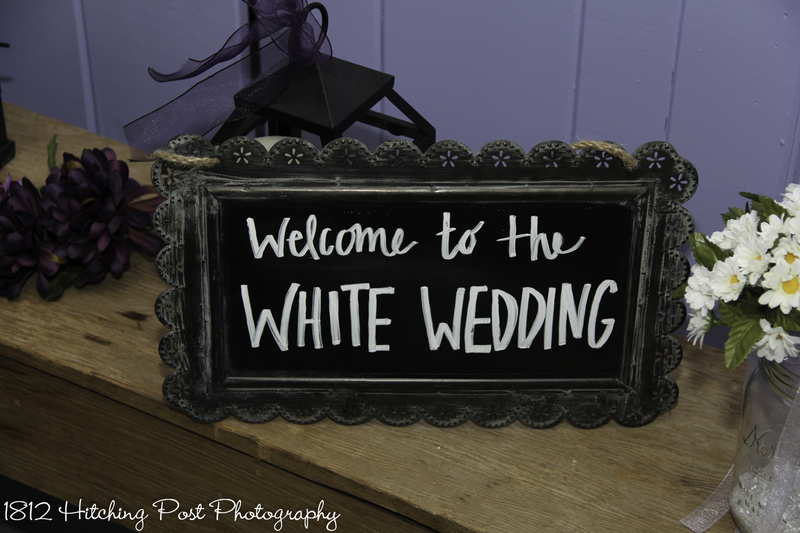 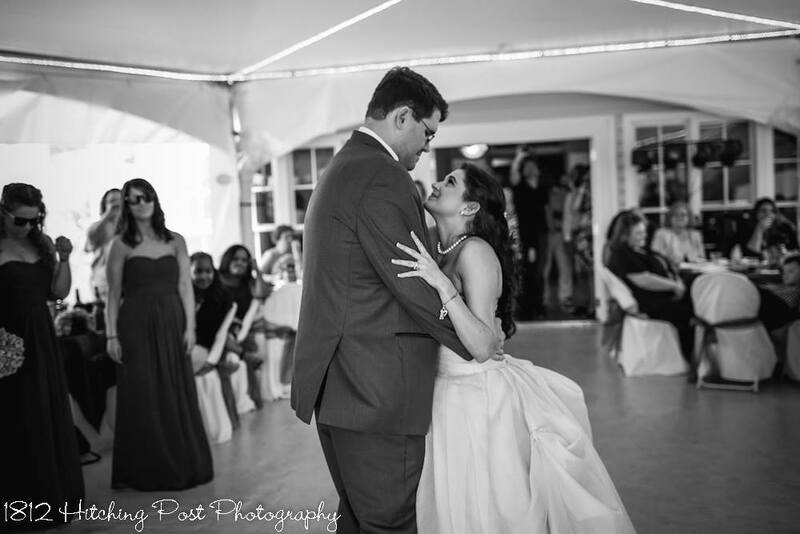 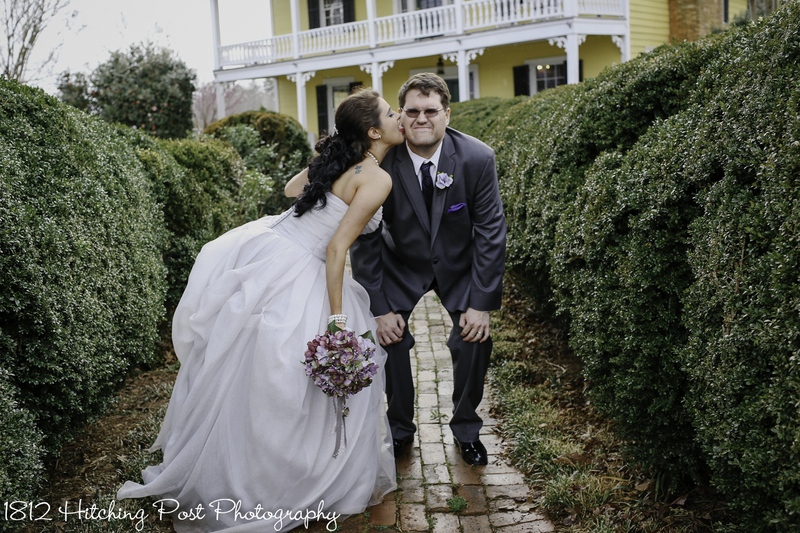 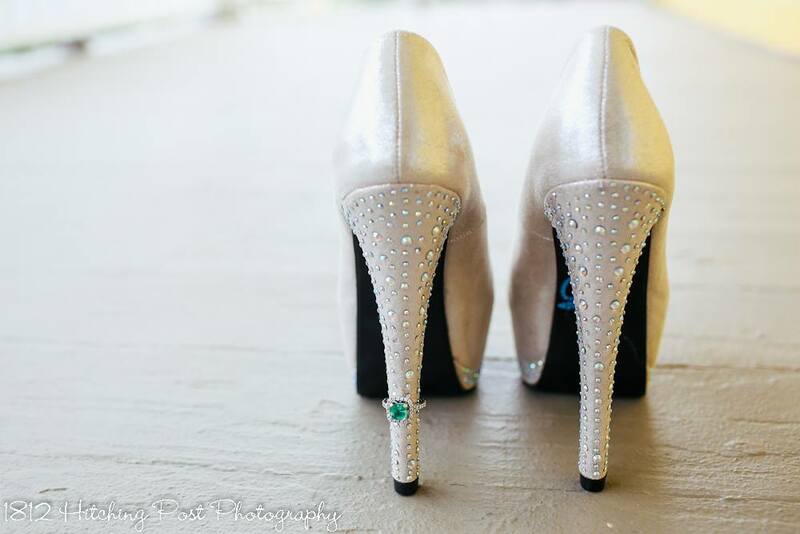 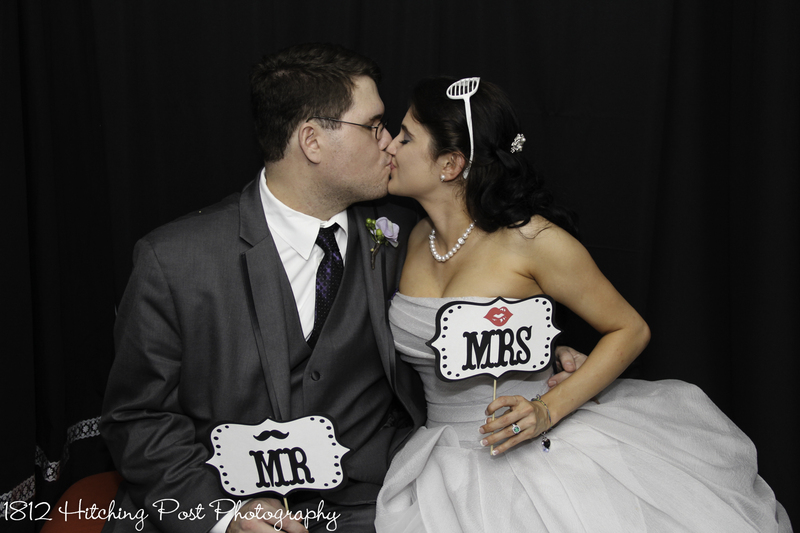 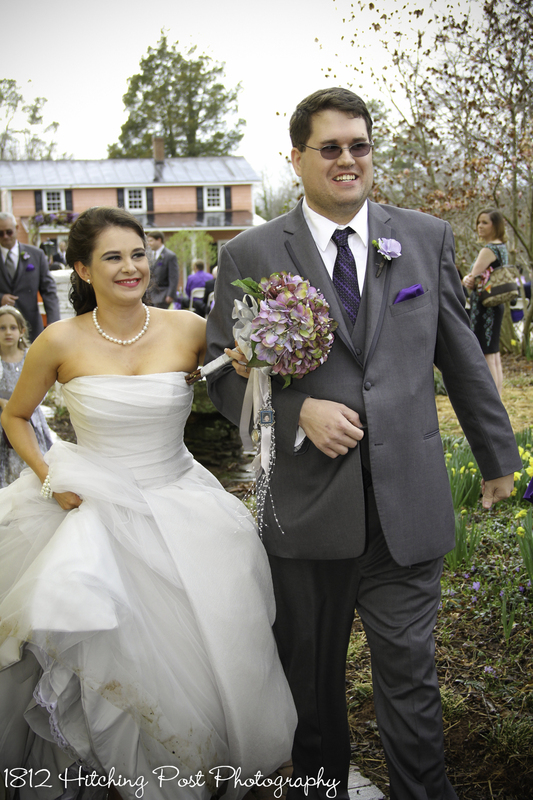 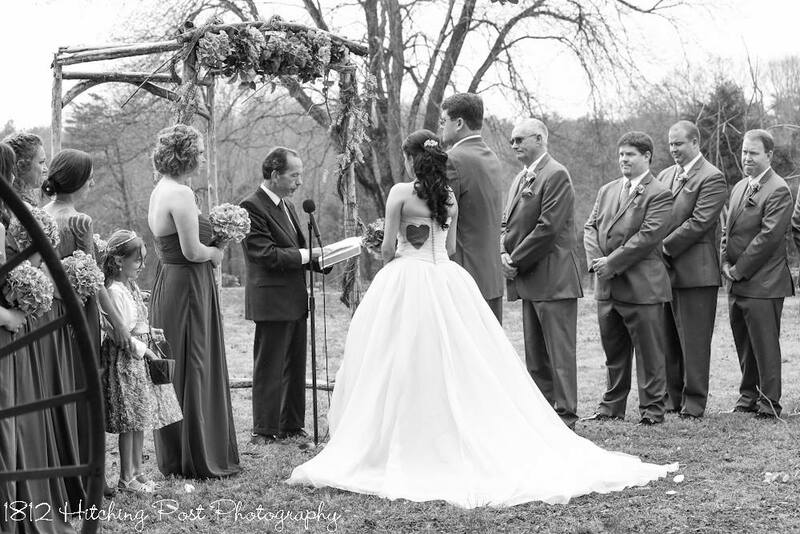 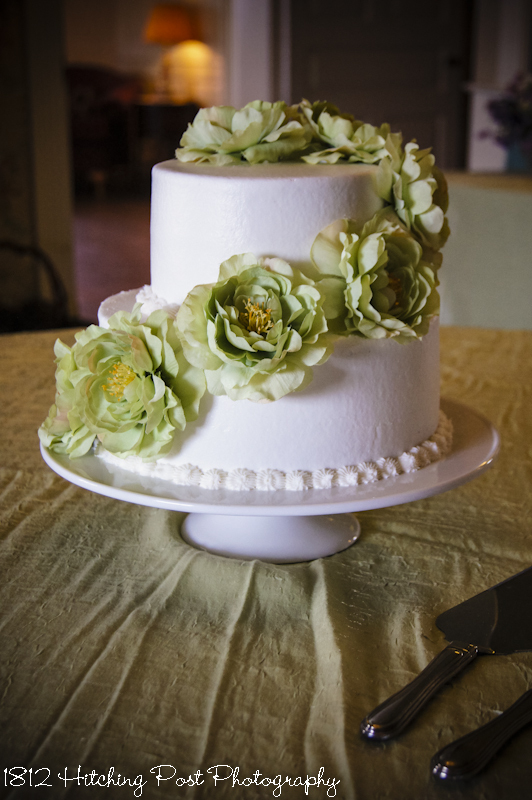 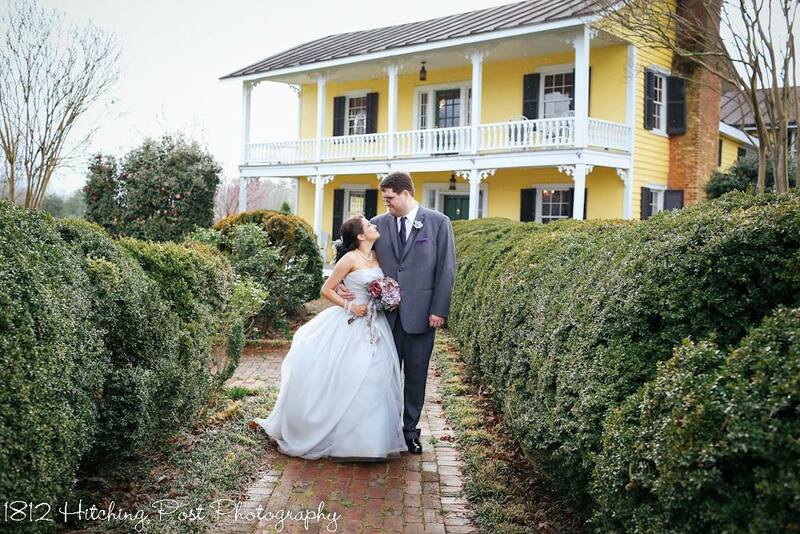 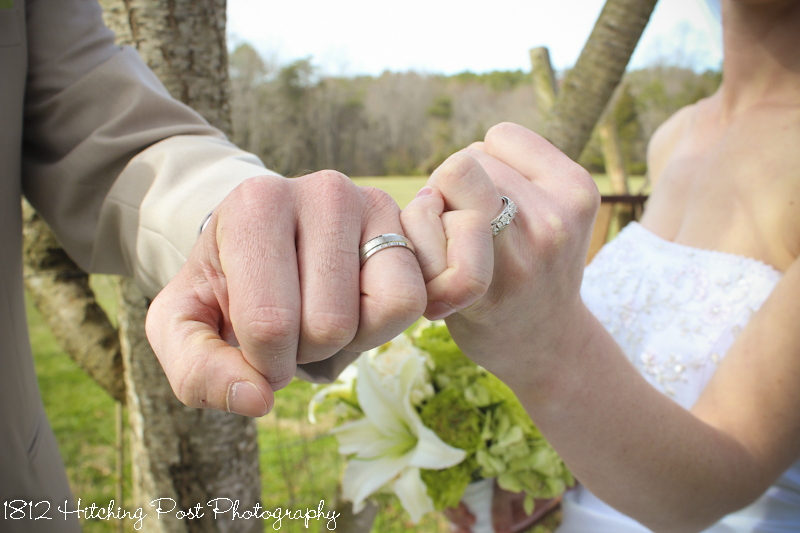 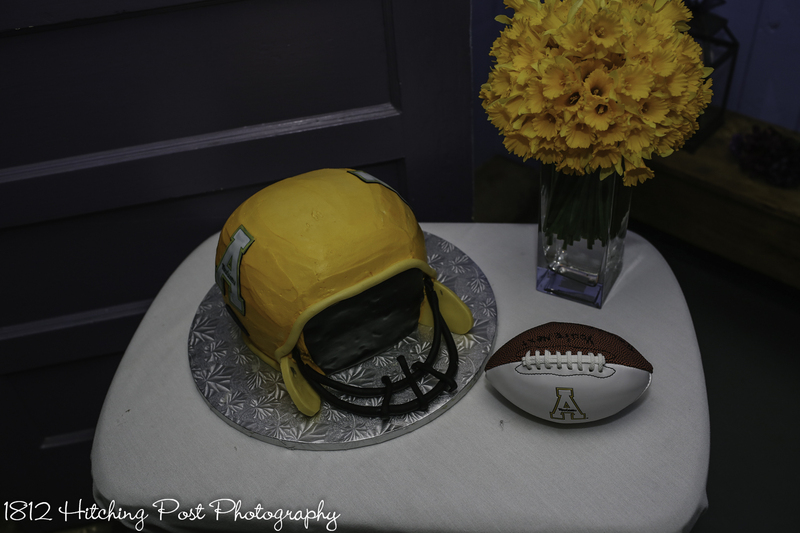 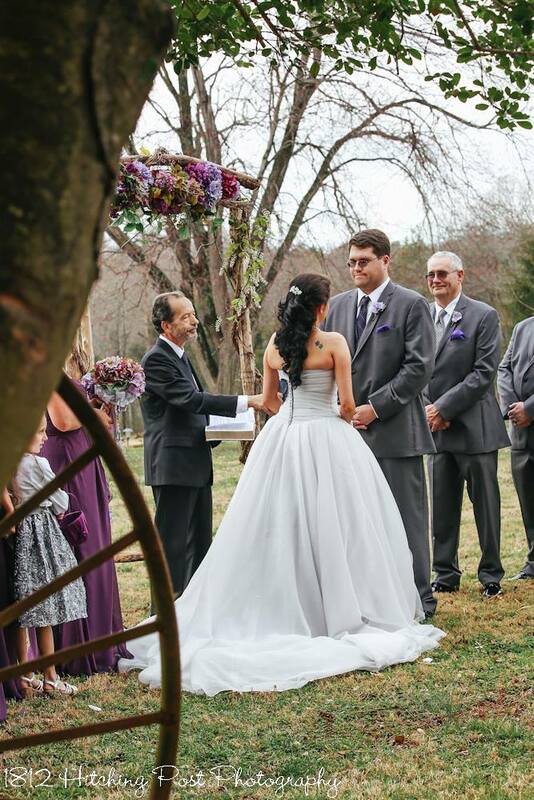 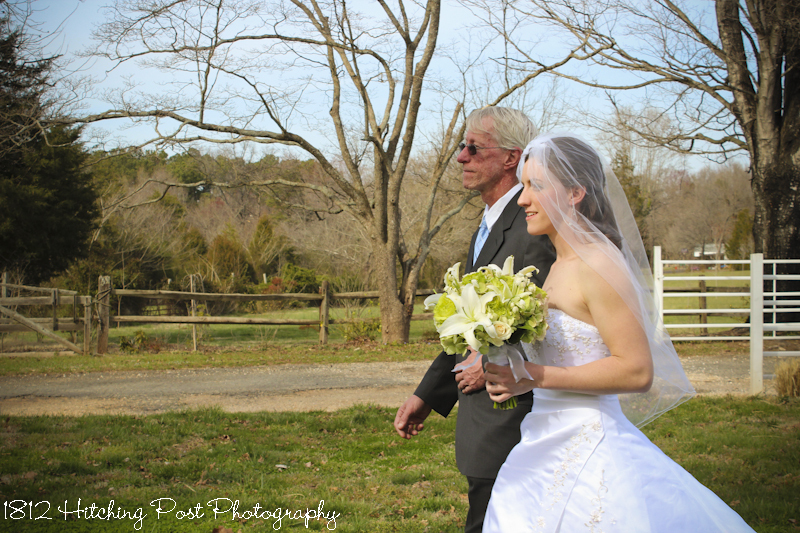 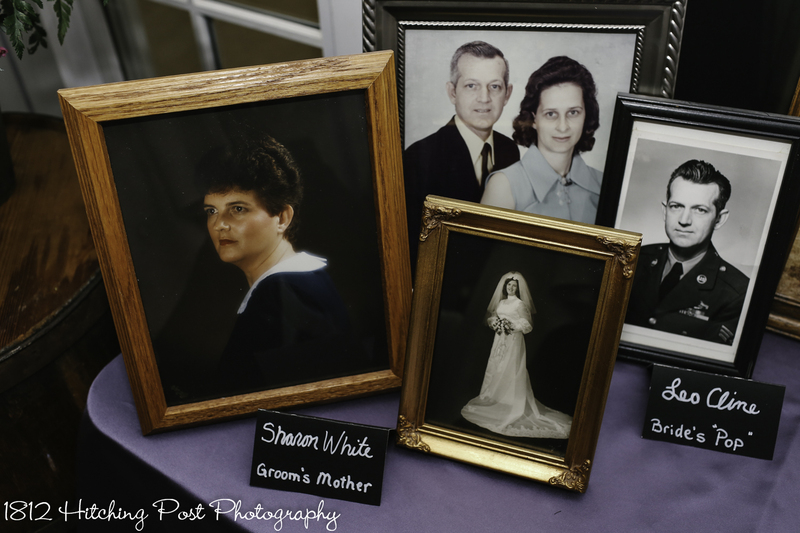 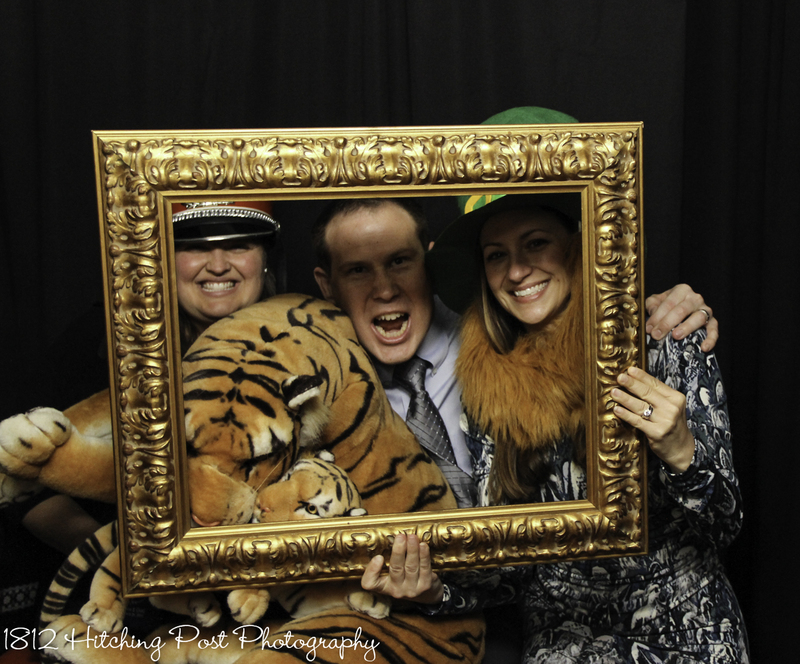 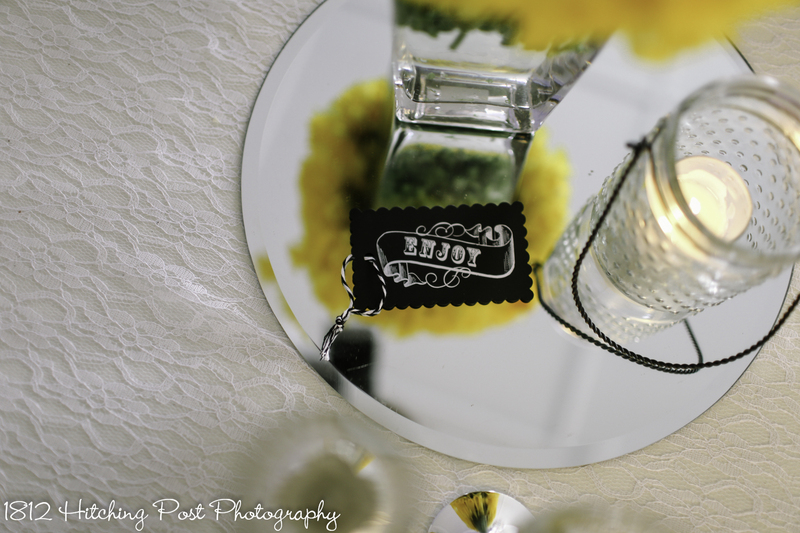 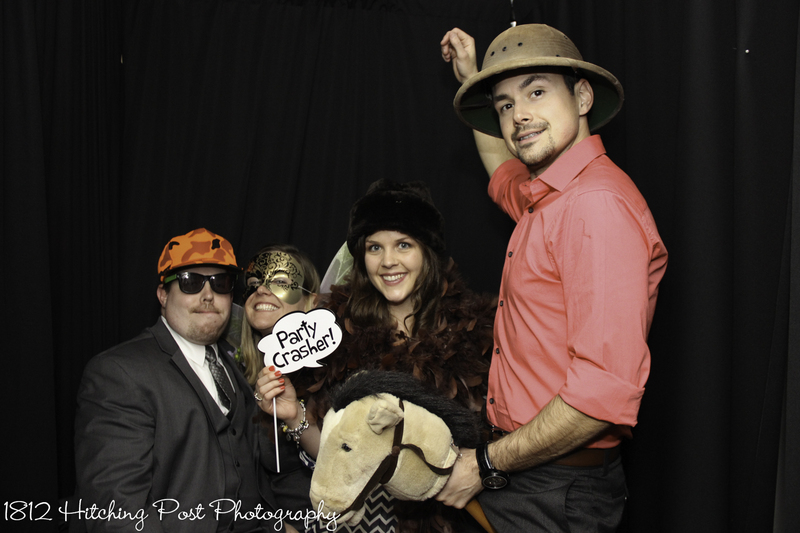 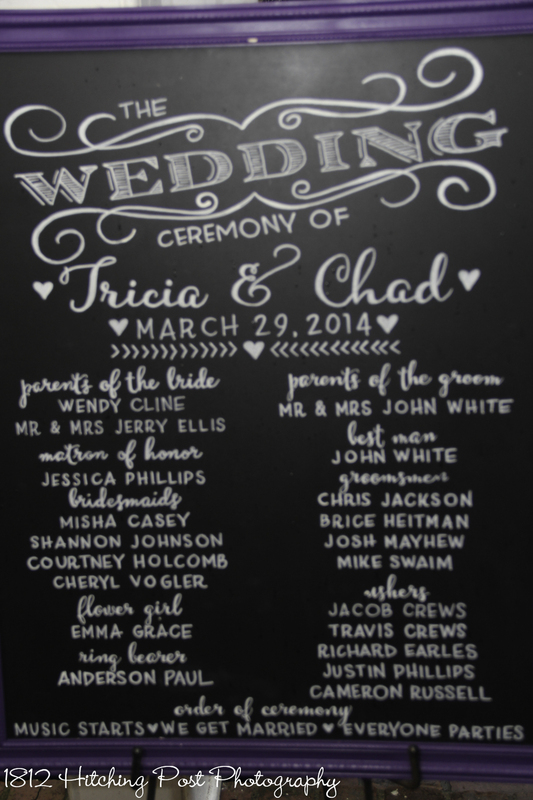 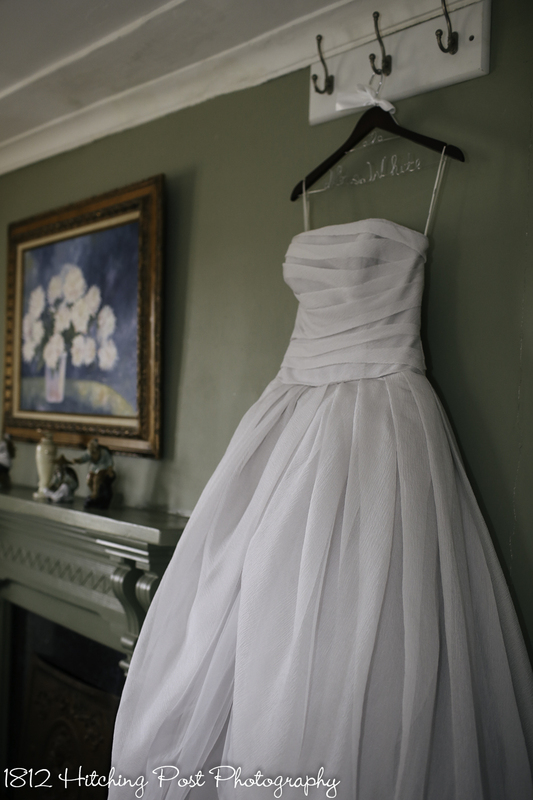 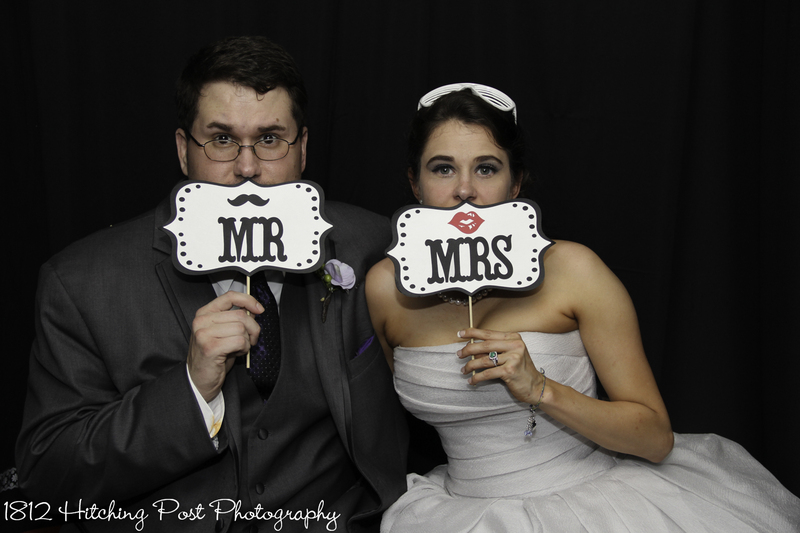 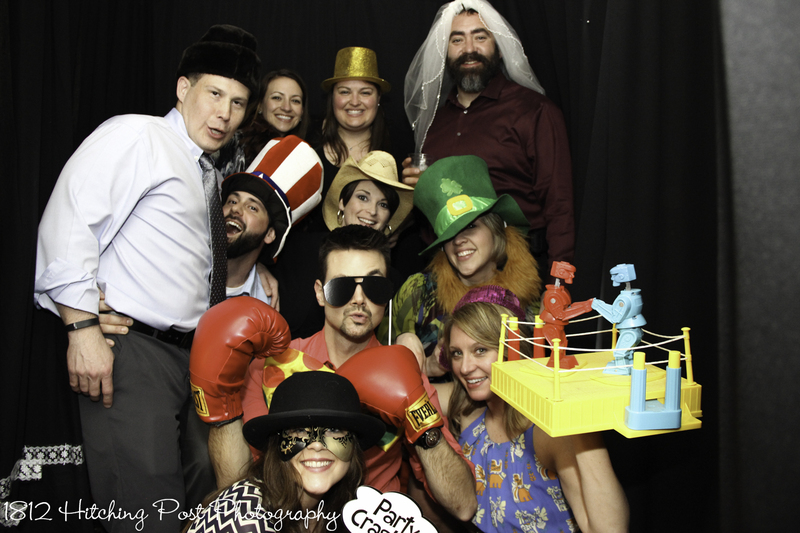 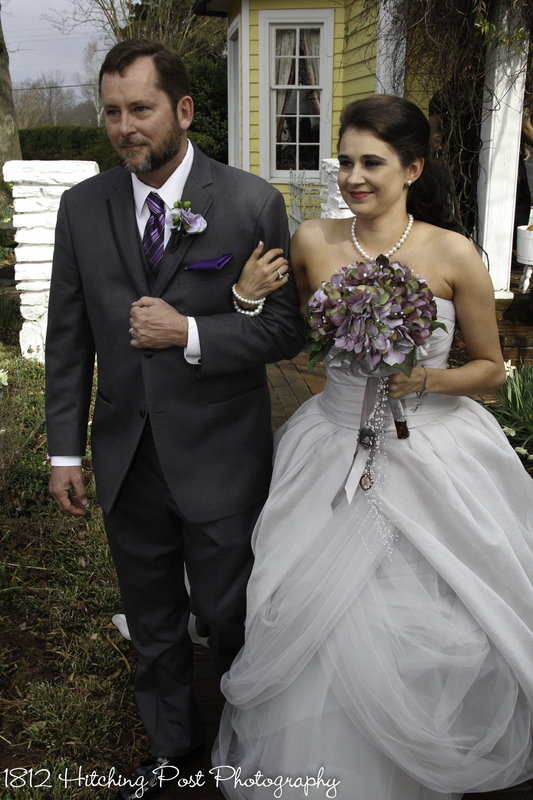 It was a “Nice Day for a White Wedding!” All photos by Taylor Gregory and Jordan Austin. 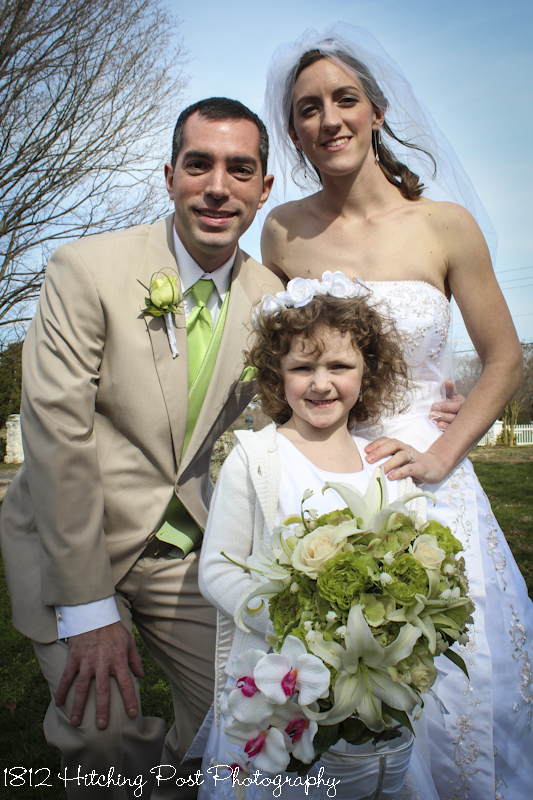 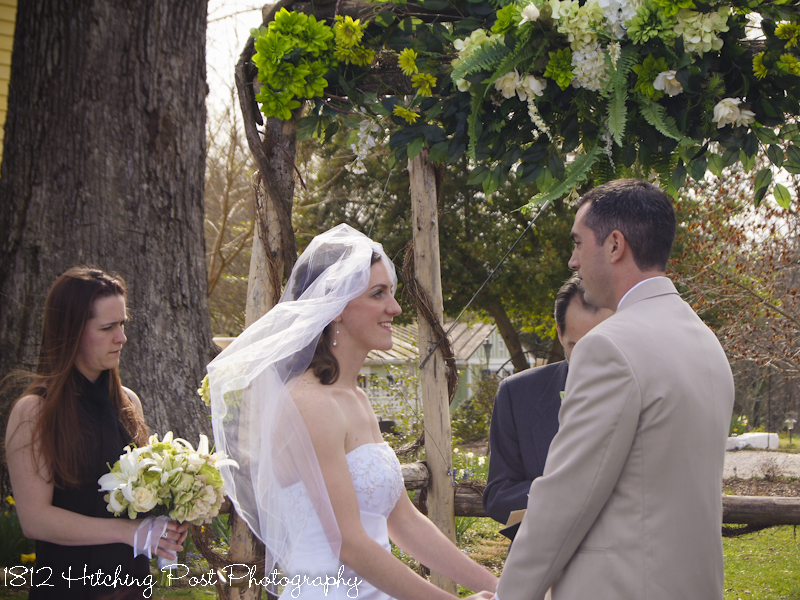 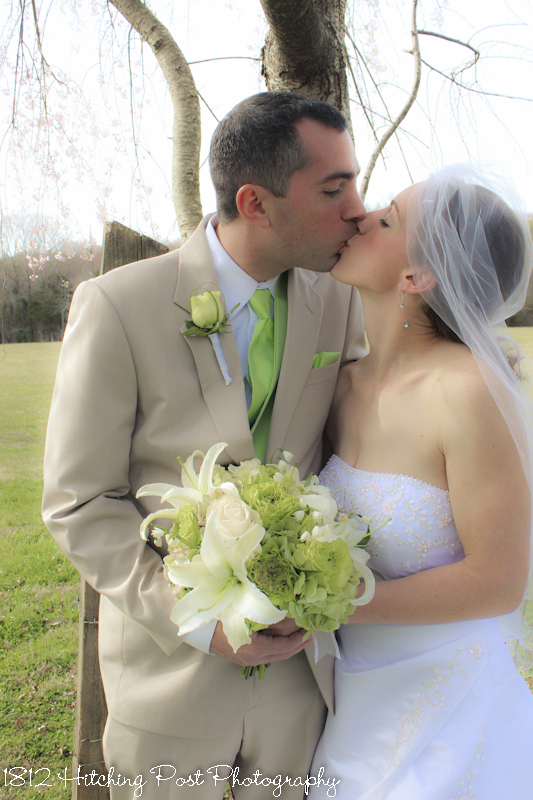 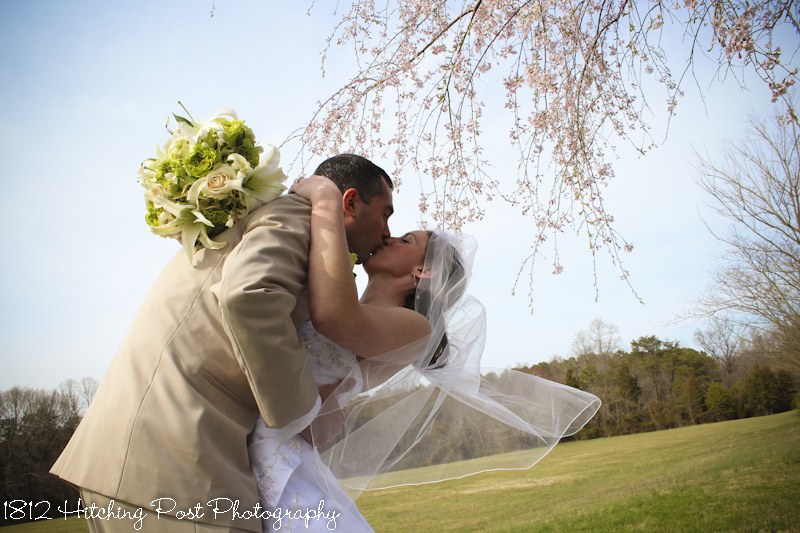 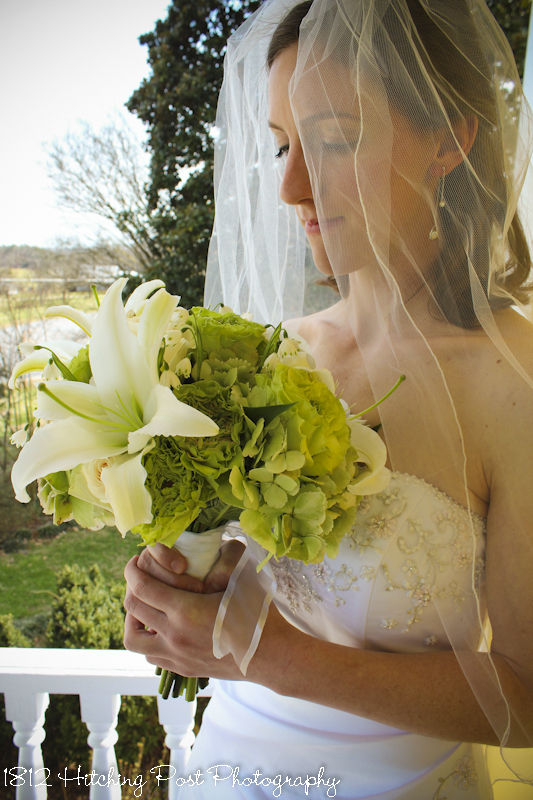 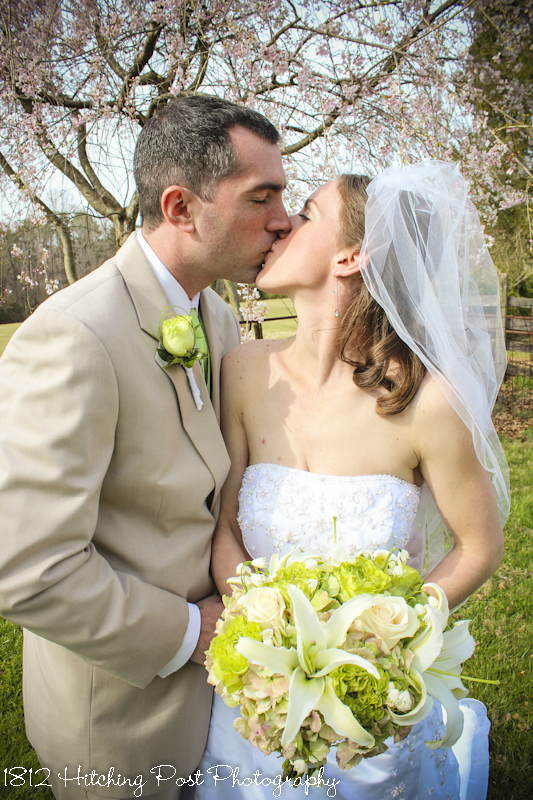 Pretty spring green hydrangeas and white lilies were the inspiration for Meagan and Mike’s March elopement. 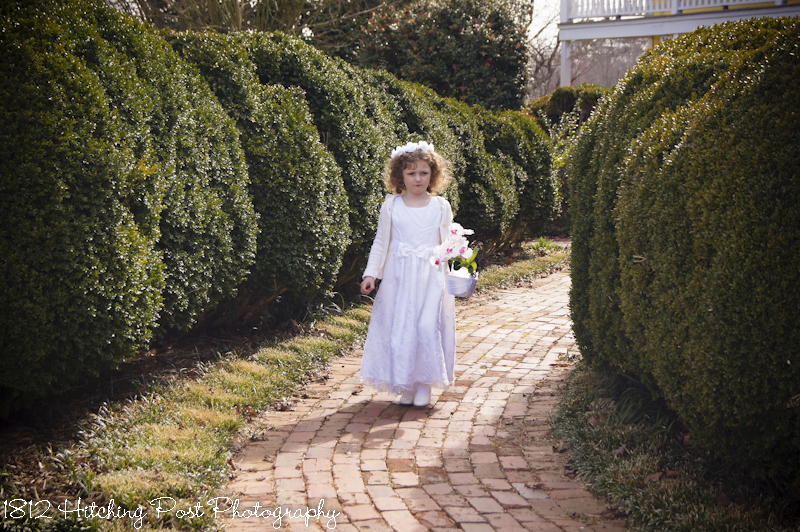 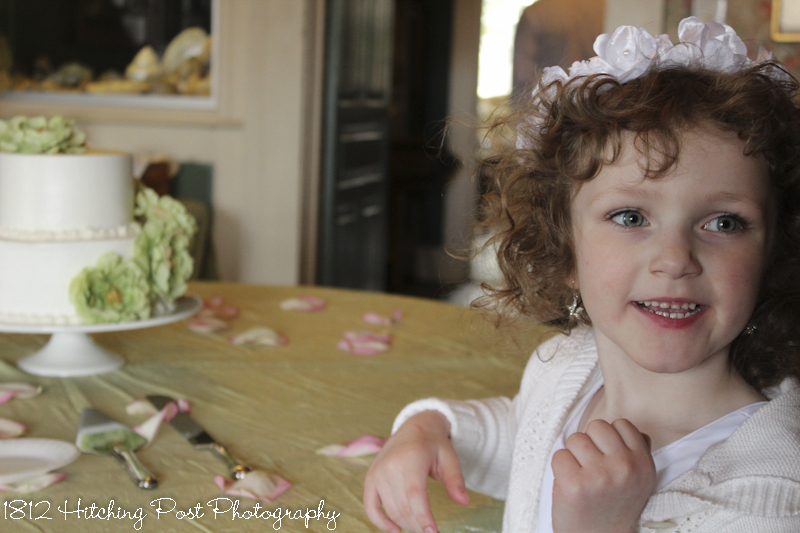 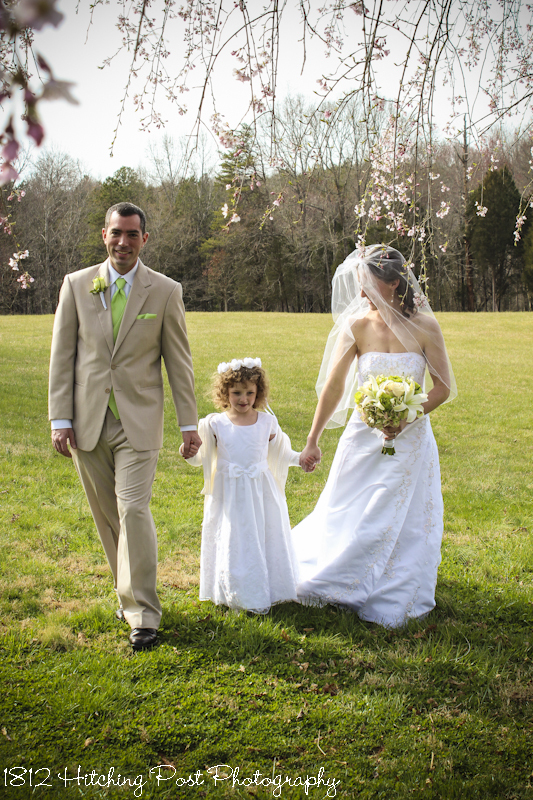 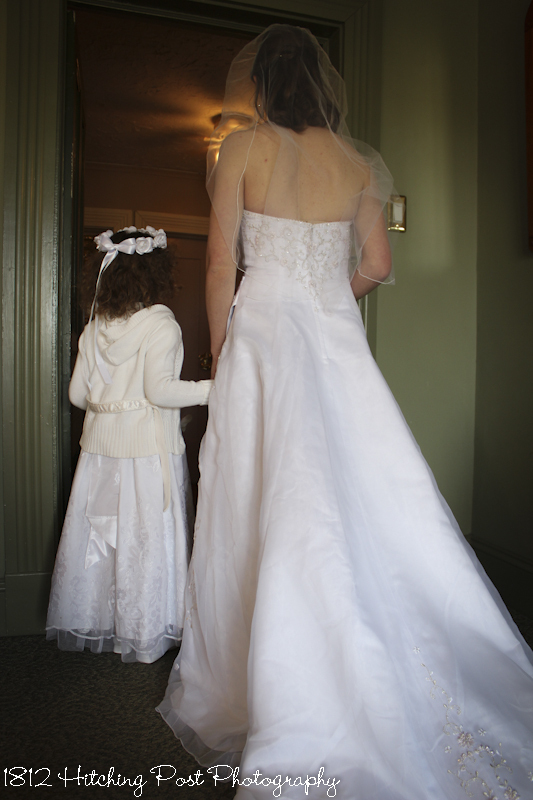 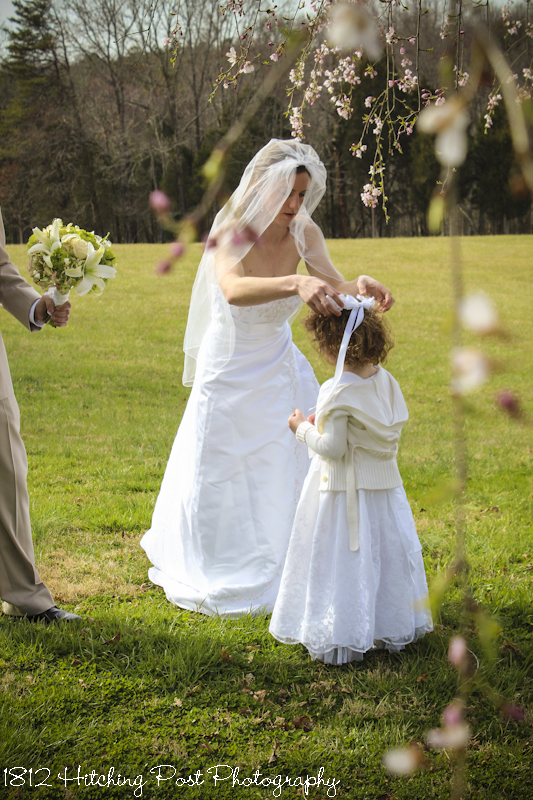 Meagan’s daughter made the sweetest flower girl!